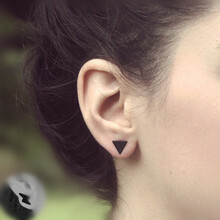 Modern women’s earrings come in a variety of shapes and forms. Our women's black earrings collection showcases a choice of black stud earrings with beautiful geometric shapes or animal print designs adorned with a mix of black rhinestones or crystals. 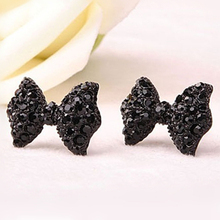 Although studs are the simplest form of jewelry, wearing them adds definition to your everyday look.